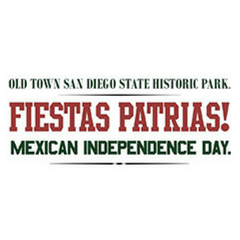 Plan your schedules ahead and celebrate the Mexican Independence during the Fiestas Patrias! Head over to Old Town State Historic Park on Saturday, September 15, 2018. Enjoy and relax your day with a variety of entertainment! This is free so make sure to bring your whole family! Our exciting and colorful Fiestas Patrias parade kicks off the festivities that will include the Escaramuzas, traditional women equestrians. Following the parade, there will be a variety of entertainment, including historic and traditional music and dance groups, crafts, games and informational demonstrations that represent the activities enjoyed by the early settlers on San Diego in the 1800s. Don’t miss the fun! See you there! Visit sandiego.org for more event details!